Hopeful findings from a new study. Self-help books have a bit of a love-hate reputation: some people swear by them, while others avoid that section in the bookstore like the plague. But a new study published in the journal Work & Stress suggests that certain self-help books could be a cheap and effective way to handle workplace stress, burnout and symptoms of depression—no therapy required. Researchers from the University of Basel, along with the Institute for Work and Mental Health in Munich, found that participants experiencing moderate to severe stress who read a self-help book based on Acceptance and Commitment Therapy (ACT) saw a significant reduction in their self-reported symptoms of stress, burnout and depression compared to people who hadn’t yet read the book. ACT is a type of cognitive behavioral therapy that helps people learn to be more psychologically flexible. That means learning how to accept—rather than change or avoid—unwelcome inner thoughts or unpleasant experiences, and then move on from them, the study authors write. This is important in all walks of life, including chaotic workplaces, as people who are more psychologically flexible have more cognitive resources at hand to deal with stressful situations. The ACT book used in the study educated readers about how burnout (defined primarily by experiencing exhaustion, cynicism and feeling like you can’t handle or change situations in the workplace) is linked to emotional rigidity, and introduced techniques like mindfulness and acceptance to help people become more psychologically flexible. The study design was simple: researchers had 119 participants with moderate to severe levels of stress (as determined by the Perceived Stress Scale, a commonly used measurement) take a variety of online surveys measuring their well-being, perceived burnout and stress both before and after they read the book. The participants had diverse jobs in fields including construction, healthcare, teaching, farming and sales. Researchers split the participants into two groups: the first group got the ACT self-help book immediately and read it over the course of five weeks, regularly completing online comprehension tests to demonstrate that they had actually read the material. The second group had a waiting period before they could start the book, and they took assessments before and after reading the book, but not during, according to the study. The researchers compared the group that read the book first to the group that had to wait, and found that the first group reported a significant improvement “in terms of perceived stress and all dimensions of burnout: exhaustion, cynicism and personal efficacy,” the study authors write. That group also fared better in terms of overall well-being and symptoms of depression. “Results indicate that a self-help intervention book based on ACT without any therapist contact produced substantial improvements on primary outcomes of perceived stress and burnout,” the study authors write. 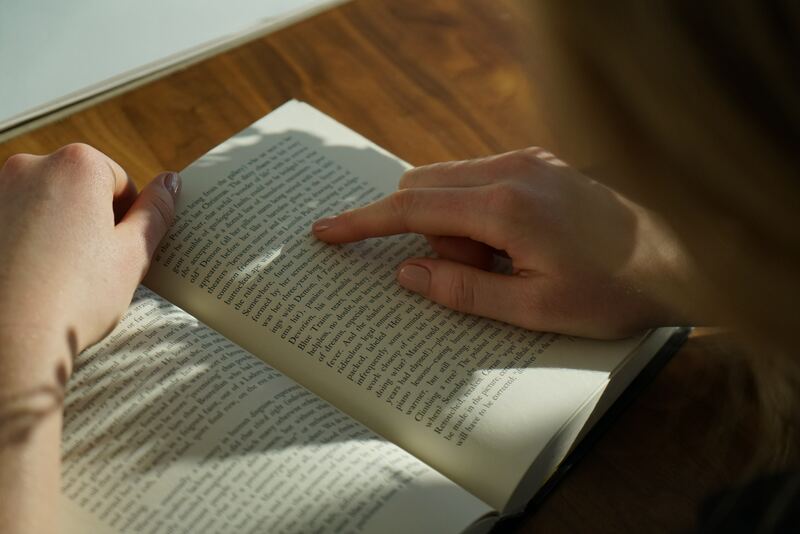 Plus, the researchers assessed the participants three months later and found that these results held—meaning participants were still less stressed than they were before they started reading the book. It’s possible that the findings held because the participants kept reading the book after the study was over, but the researchers speculate that participants actually continued to use what they had learned during the study period after it was over. There are limitations to the study, including the fact that people who pick up a self-help book at random, compared to being monitored as part of a study, might not engage with the material and apply the advice as rigorously. And of course, “a self-help book without any therapist contact is not suitable for everyone,” professor Andrew Gloster, director of the study and head of the University of Basel’s Clinical and Psychology and Intervention Science department, said in the study’s press release. But the findings suggest that reading self-help books, much more affordable than therapy and easy to fit into a busy schedule, could be a effective method to address stress and burnout in the workplace, something that “poses a threat to mental and physical health, and is associated with disability and high socioeconomic costs,” according to the press release. This is especially important as office intervention programs for stress and burnout may not be available to everyone at an organization, or even available in the first place. Plus, “A self-help book without any therapist contact could overcome financial and logistical barriers that sometimes prevent people from accessing help” Patrizia Hofer from the University of Basel’s Faculty of Psychology and the lead author of the study, said in the press release.